He-Man and She-Ra: The Secret of the Sword is a 1985 American animated feature film produced by Filmation. 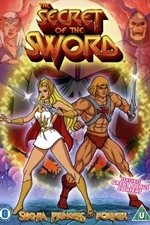 Although released before the series She-Ra: Princess of Power began, the film was a compilation of the first five episodes with minor edits made. The film was part of a trend of theatrically released animations created by producers of TV shows and toys during the 1980s.